Simplify access requirements so that the user no longer requires a high level of skill to access databases. 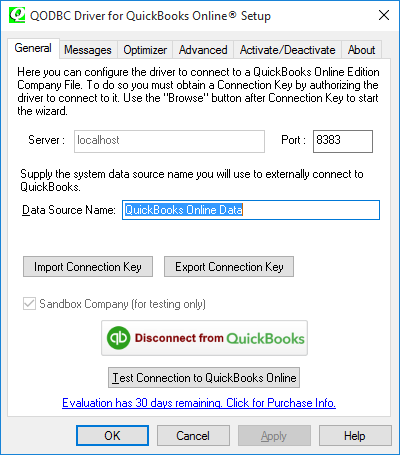 QODBC is an ODBC driver (DLL) for QuickBooks Online data. QuickBooks by default stores its data in its own proprietary DBMS file format. This driver allows users of any ODBC compliant front-end application to read and write data contained in QuickBooks format files similarly to any other ODBC enabled database. 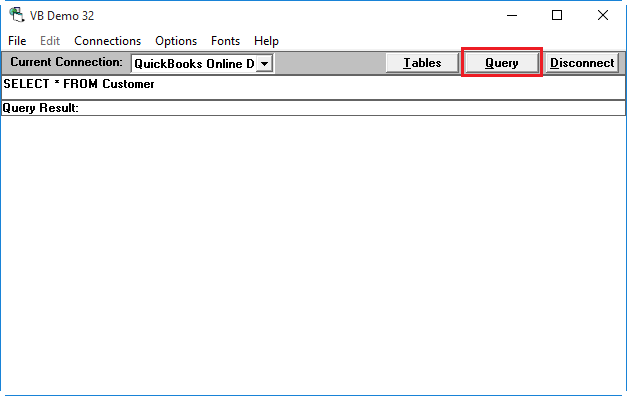 QODBC Online works by accepting SQL commands through the ODBC interface, then converting those calls to navigational commands to the QuickBooks Online Harmony interface (QuickBooks IPP V3) and returning record sets that qualify for the query results. What can I do with QODBC Online? QODBC opens up the QuickBooks Online to a whole new world of database connectivity. In the same way that Windows has created an environment where all applications have a similar look and feel, ODBC drivers make all database formats look the same. A user in Microsoft Office can use Excel to pull company accounting or invoice information directly into a spreadsheet and create a chart. Microsoft Word can do a customer mail merge directly from QuickBooks Online data. Crystal Pro Report writer can create multi-file reports from QuickBooks Online data. 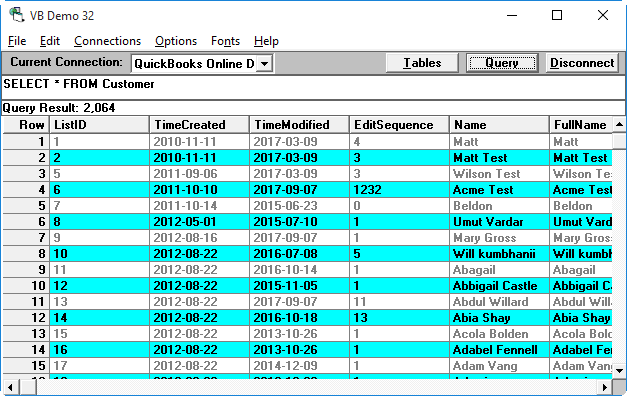 Microsoft Access or Borland Delphi can be used to merge QuickBooks Online data with other data sources to produce complex reports, or to run mass file updates based on multiple criteria. Best of all, this driver is transparent and works in exactly the same fashion of ODBC drivers from other vendors. 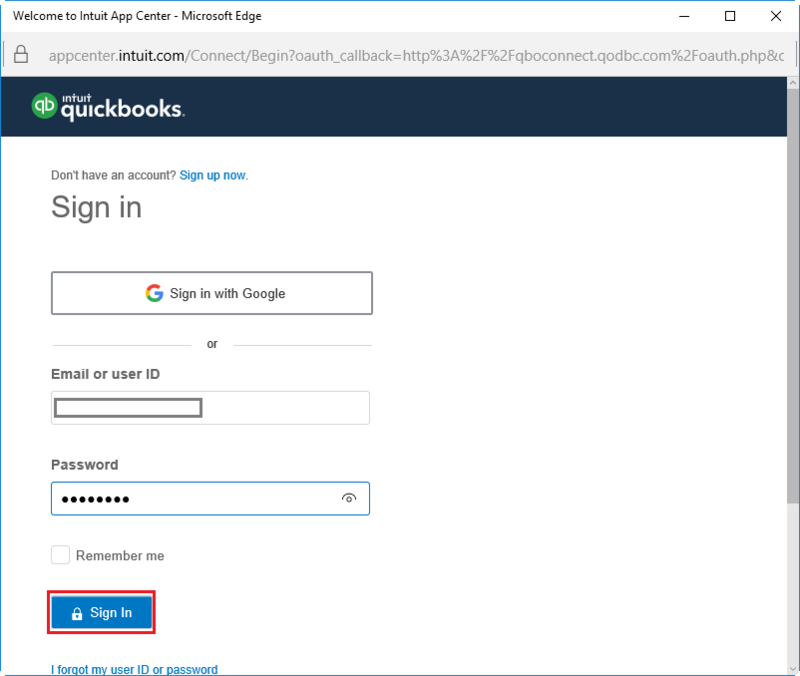 QuickBooks application developers now can offer this driver to their customers to allow them direct access to data important to them through custom third-party applications. Business personnel who require up-to-the-minute data to make on the fly business decisions will have that real-time data instantly available to virtually hundreds of desktop applications. Click on the Install program (qodbcon.exe) to install the driver. 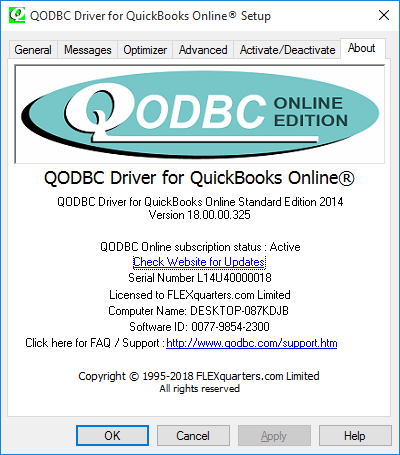 The FLEXquarters QODBC Driver for QuickBooks Online® has been successfully installed on your computer. You can begin to use it immediately because it will run as a free 30-day evaluation edition, serving as all editions of QODBC depending on how it is configured (note: inserts of records into QuickBooks are limited to 20 per session in evaluation mode). Windows 10 users click here for additional details. 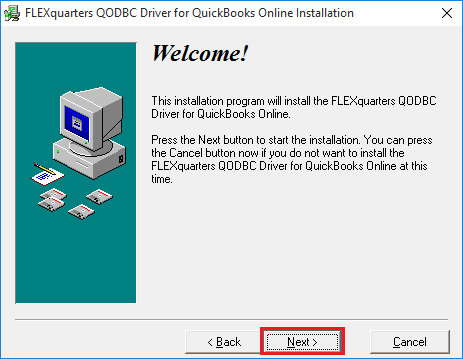 The first step in configuring the driver is to click on the QODBC Online Setup Screen icon and the following screen will become available. Import/Export Connection Key used If you want to connect to the same company file from another machine, then you can export connection key from one machine & import it to the other machine. Sandbox Company (for testing only) used If you want to work with the QuickBooks Online sandbox company. For windows security issue or Test Connection fails please click here. See QODBC Online Setup Options for more details on options available. This tab allows you to activate the evaluation version to a fully registered version with a CDKey that you are issued when you purchase QODBC Online or deactivate a currently active license and move that license to a new machine. Activate is the online option for entering the CDKey that was issued to you upon purchasing the product to fully activate QODBC Online from the evaluation version to either the full Standard Edition that has been purchased. If you do not have internet access to activate the product from the machine you intend on using it on, you can use the manual option to generate an activation code from a machine that has internet access. Note: If after activating the license and the About Tab still shows it as being an evaluation version please click here. 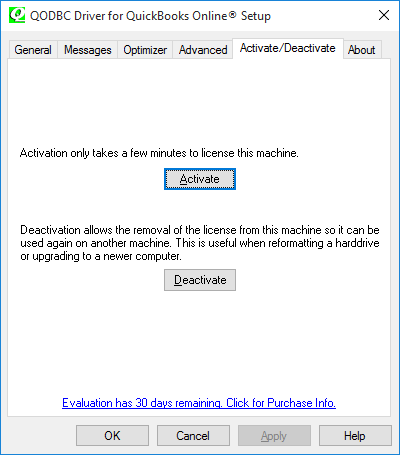 Deactivate is the online method of deactivating a currently registered version of QODBC Online for the transfer of the product to another machine. This process will take 24 to 48 hours before your CDKey account is credited with the deactivated license and you can reactivate the license on a different machine. If internet access is not available from the registered machine, you can use the manual option to generate a deactivation code from a machine that has internet access. Check Website for Updates will launch your internet browser to our website and check to see if you have the latest available version of QODBC installed on your machine. You can view the Readme file for the list of all the latest features in the current version of QODBC and download the latest updater should you be using an older version of the driver. The remaining tabs are typically for advanced users, details on them can be found by clicking here. The first time you run this driver (for example, you can test it using the VB Demo program included). The first step is to authorize QODBC Online to access your QuickBooks Online company. To allow the connection to QuickBooks Online, Please allow the Pop-Up to be opened from the website. You will get the list of QuickBooks Online Companies you are authorized to login. Select the one you would like to connect. 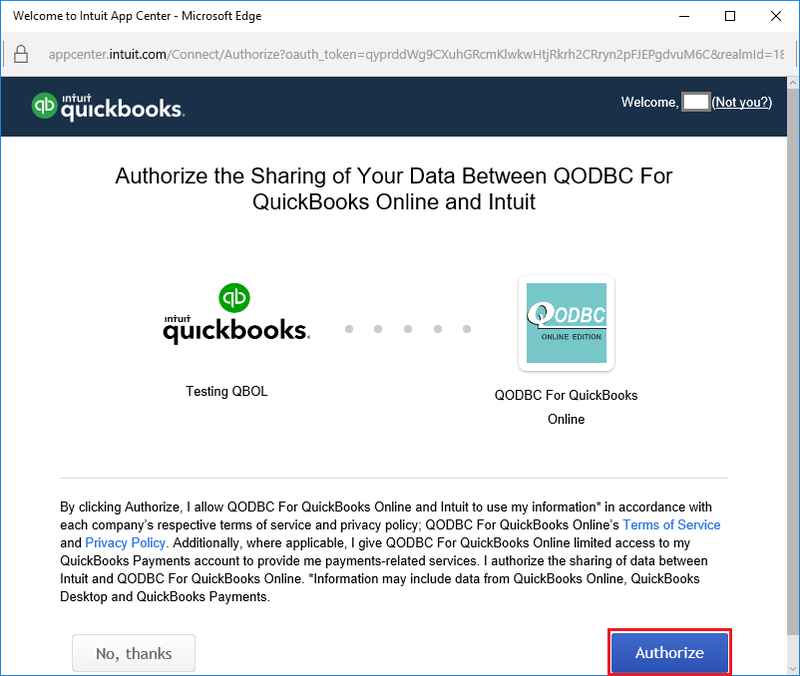 Click Authorize to allow QODBC Online to access your QuickBooks Online company. After the authorization is completed you will be redirected to Success/Connected page. You may close this windows and switch back to QODBC Online Setup screen. 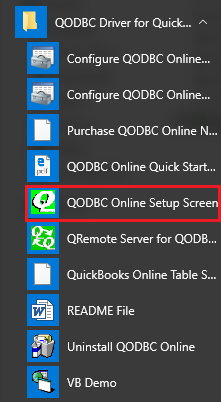 After switching to QODBC Online setup Screen you should get the result of the test connection. In case you encounter below warning, you may ignore this message and test the connection via VB Demo. If VB Demo is able to connect, you have successfully setup the connection to your QuickBooks Online company via QODBC Online. Click on the VB Demo icon to launch the demo. 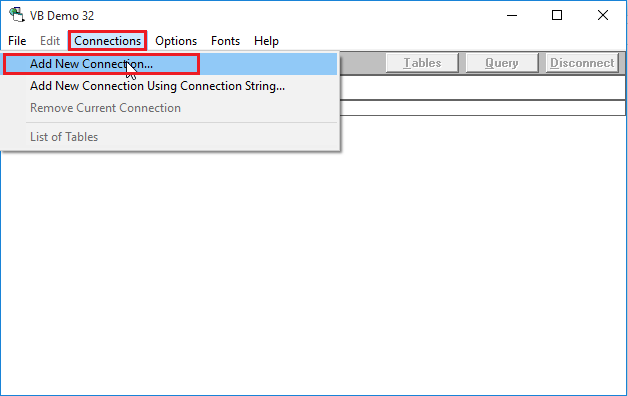 To establish a connection: From the menu bar select "Connections" > "Add a new connection ", select the QuickBooks Online Data Source you want, Click "OK” (The Default is QuickBooks Online Data). 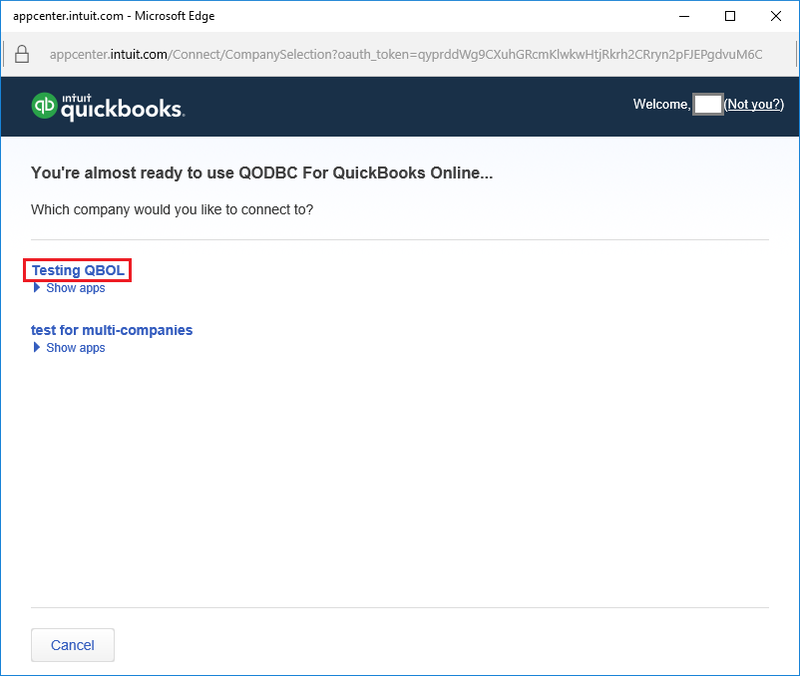 After you click “OK” a QODBC Online should connect to your QuickBooks Online company. Once permissions have been granted in QuickBooks Online for QODBC Online to access the company data, VB Demo and any other standard ODBC supported applications should be able to via the VB Demo and the Current Connection Window shows “QuickBooks Online Data 1” you can click on the tables button to give you a list of all the QuickBooks tables that are available for you to use. 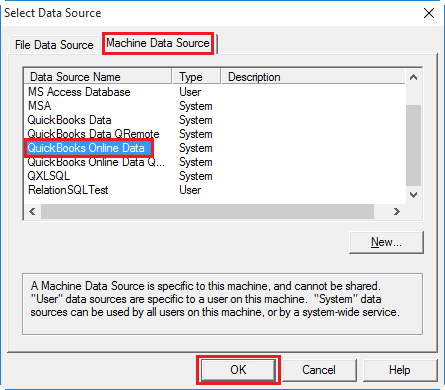 You can view your customer data by simply clicking on the query button or you can delete the default SQL statement and type in your own SQL statement to view the data you wish to be displayed. To use explore the data available in QuickBooks Online via QODBC, click here. 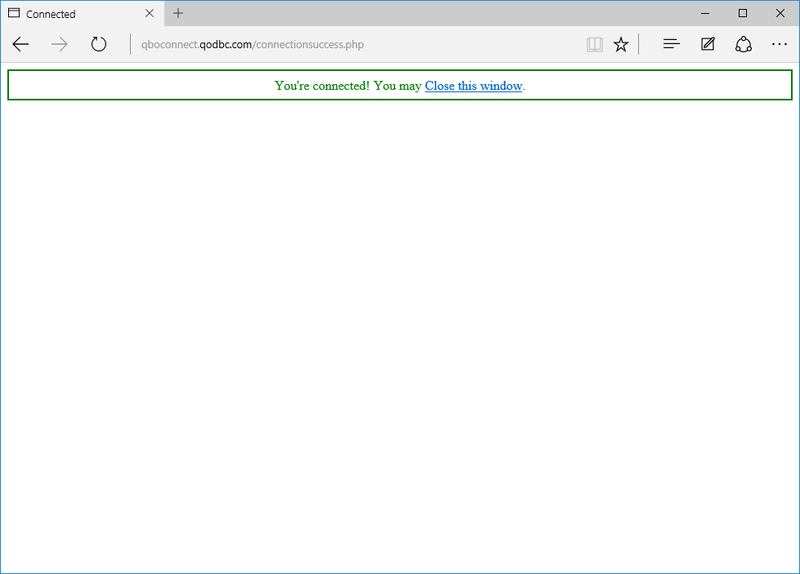 To disconnect the VB Demo from accessing your QuickBooks Online company Click the "disconnect" button. The Frequently asked questions about this product are constantly changing, so we have a web page setup with these questions and answers. A more detailed FAQ can be found at: http://support.qodbc.com. step tutorials for popular applications, FAQs, data layout of QuickBooks and flash tutorials. QODBC version 18 supports Windows 7 SP1, Windows Server 2008 R2 SP1 (or above), Windows 8 and Windows 10. We offer a free fully functional trial copy ofQODBC Online limited to selected elements in the QuickBooks Online system. An FAQ section and a Help Desk support system is available for registered users and those evaluating QODBC Online. Those purchasing the product will receive Free installation support for 30 days from the date of purchase. Program anomalies will be addressed at no charge and updates posted on our website. Other issues may be subject to a fee. The most effective of these methods is the online support system via our website since you can attach an ODBC or SDK trace log to the message and we can attach an updated product to you if we have a patch. For Microsoft Windows 95, Windows 98, Windows ME, Windows NT, Windows 2000 Windows XP, Microsoft Windows, Vista, Windows 7 and Windows 8 and Windows 10. The program developed by Brad Waddell and Matthew Froncek.